Thanksgiving, a time for giving thanks – and for eating and drinking. This week, Professor Courtney Thomas says our food safety system is woefully antiquated. Professor Karen Piper warns that the world is on the brink of water wars – and that can affect our food supply. 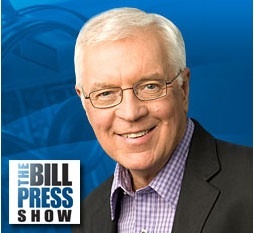 And Bill Press talks with Vermont Senator Patrick Leahy about Republican obstruction on protecting Americans’ privacy. November 23, 2014 ‘Tis the season to eat, drink and be merry. But what is in our food? Who controls our water? Professor Courtney Thomas says our food is not safe enough, and Professor Karen Piper says we are facing a water shortage. And Bill Press interviews Senator Patrick Leahy. Courtney Thomas As we sit down to holiday meals, Professor Courtney Thomas tells us about the corporate power and governmental inefficiency that has rendered our food safety programs a century behind the times. Patrick Leahy Bill Press and his guest, Senator Patrick Leahy, discuss the Senate’s refusal to take up a bipartisan bill to protect against government snooping. 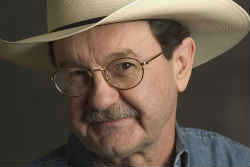 Jim Hightower Wall Street speculators are walling off young farmers. Jonathan Allen , co-author of a best-selling book about Hillary Clinton, says there is no evidence she denied security protection in Benghazi. Political scientist Dante Chinni tells us where the new swing states are. They’re in the suburbs. And Bill Press interviews ACLU lawyer Chris Anders about the Senate battle with the CIA. Jonathan Allen How did Hillary Clinton manage her tenure as Secretary of State? Jonathan Allen, a journalist and co-author of a best-selling book about her, says how she ran State could be a precursor as to how she might run a White House. Dante Chinni Where is the political fault line in American politics today? Professor Dante Chinni pinpoints it at the place where suburbs meet the exurbs. Chris Anders Bill Press interviews the ACLU’s Chris Anders about the Senate battle with the CIA. 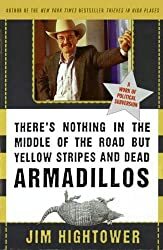 Jim Hightower The millionaires' Congress vs. the people.